Photo by Makenna Nelson. Rose students get hours by taking pictures at the middle school dance. Volunteering at the Greenway, tutoring kids after school and helping out to make posters are not only great ways to help out the Greenville community, but also ways to get hours and or credits for different national honor societies at Rose. Different societies require each member to have volunteer hours or credits in order to get recognition for participating in the organization. 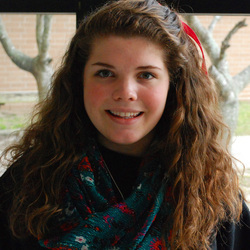 Senior Elisabeth Lee is working to start an after school program for kids on Third Street. Lee began working on this for her Project Connect assignment in English last semester and hopes the program will be a hit when it starts in March. “We’re helping to start a tutoring program at Third Street; it’s called Homework Help and what we’re trying to do is write a grant to get some computers for the program and raise money,” Lee said. Lee plans on having a block party or drive soon in order to help raise supplies for Homework Help and also plans on raising awareness at Rose by passing out pamphlets to let students know they can get hours for different clubs and societies including National Honor Society by volunteering at Third Street. Senior Maija Smith is in National English Honor Society and has gotten credits for the club by helping to advertise for the Shakespeare Competition in the past. She also plans to submit some articles in the future to get more credits. Students get credits for this society each time a work of theirs is published in the school newspaper or yearbook. Senior Madeline Neuhaus, president of National Science Honor Society, has gotten some of her hours in by helping an elementary science team prepare for the Science Olympiad in March. Some of the members of National Science Honor Society have been getting their hours in by helping to do different things around the Greenway in Greenville and also participating in A Time for Science on Saturdays. Whether it’s working with kids, helping to publicize events for National English Honor Society or lending a hand to better the environment, Rose students are getting the hours and credits they need for the different societies they participate in by getting involved in volunteer opportunities they enjoy.